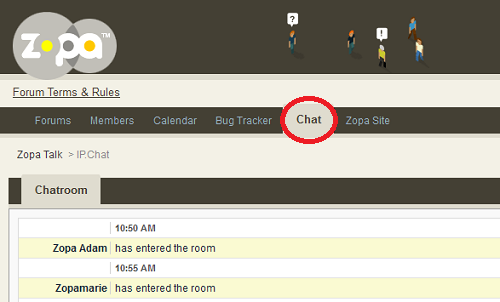 You might have heard it through the grapevine: This Friday, 13th May, Zopa will hold a one-hour live chat. Whether you’re new to Zopa and just dipping your toe or a complete Zopaholic, we hope you’ll join us and be part of the first live chat in years. From the Zopa team, Giles, Adam, Amanda, Marie and Beth will be representing, and if we don’t see at least 5 members join us to balance the numbers we will be very distraught! Joining the chat is straighforward, but to be sure I’ll outline the process briefly here: 1) Go to Zopa Talk at 2pm on Friday (or any other time before 3pm). 2) Log in using either your Forum login (this is not your Zopa username and you’ll have to register separately), your Facebook login or your Twitter login. Depending on your feedback, we hope to introduce this as a more regular feature but for now: see you on Friday! PS: Apologies to all the Friggatriskaidekaphobics amongst you, we hope you might pop in anyway (a little known fact, the fear of Friday the 13th is called Friggatriskaidekaphobia).